Russian lawmakers have approved a bill which could allow the government to cut access to foreign servers, in a move critics believe could see the nation attempt to ape China’s fearsome censorship apparatus. Passed in its second reading by an overwhelming 320 votes to 15, the legislation could become law by November 1, according to reports. The government has claimed it could help enhance national security by helping Russia preempt any online attack or disruption from foreign powers. Its supporters cite a US report unveiled by Donald Trump last year that blamed Russia for being a top cyber threat, giving the superpower a motive to use its offensive capabilities. However, others believe the “sovereign internet” bill smacks more of an attempt by the authorities to try and mimic the Great Firewall — China’s censorship infrastructure which effectively cuts its 800 million netizens from the global internet, allowing only highly filtered traffic through. “This law creates a framework whereby ISPs will be required to funnel all internet traffic in and out of the country through well-known choke points (Internet Exchanges). 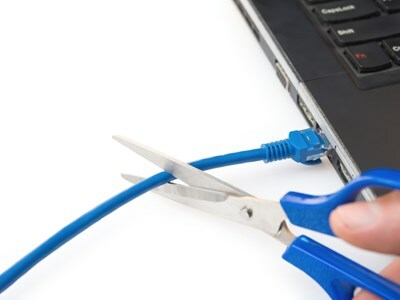 This would make it easier for the authorities to expand internet censorship, and isolate the nation from the global internet [during] times of conflict,” explained Ameet Naik, technical marketing director at ThousandEyes. Russia and China have for years been seeking to impose their alternative view of internet governance at the UN and other forums. However, critics describe ‘internet sovereignty’ as little more than a byword for censorship and oppression of online freedoms.